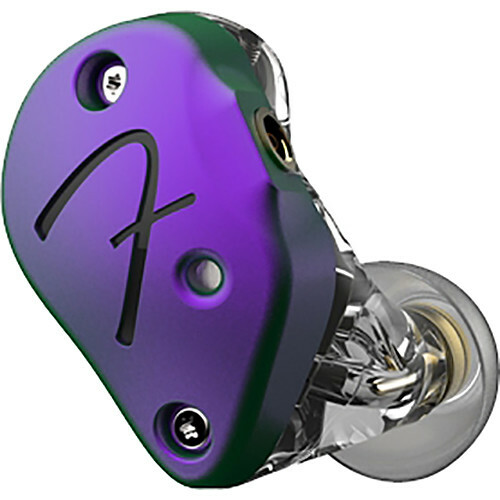 The chameleon FXA9 Pro In-Ear Monitors from Fender feature six HEXAD drivers and a groove-tuned bass port. They have a frequency response of 12 Hz to 22 kHz and are offered as a low-profile, in-ear monitor for smartphones, MP3 players, tablets, and other audio devices. Designed for transparent, audiophile-quality audio, the in-ear monitors are built in the USA and feature the latest technology to deliver an honest listening experience. Additionally, a carrying case, a 1/8" to 1/4" adapter, four sizes of secure-fit tips, a cleaning tool, and cable are also included.